Stephane Garelli - a world authority on competitiveness - has pioneered research and the theory in this field. Professor Emeritus at IMD (Institute of Management Development) Lausanne, where he has founded the World Competitiveness Center, he is also Professor Emeritus of World Competitiveness at the University of Lausanne. Professor Garelli is closely connected to the world of business. He was, among others, Chairman of the Board of Directors and shareholder of "Le Temps", the leading French language Swiss newspaper, Chairman of the Board of the Sandoz Financial and Banking Holding, and Member of the board of the Banque Edouard Constant. 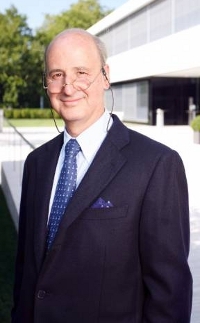 Professor Garelli was the Managing Director of the World Economic Forum and of the Davos Annual meetings for many years. He was also permanent senior adviser to the European management of Hewlett-Packard. He is a member of a number of institutes, such as: China Enterprise Management Association, Board of the ‘Fondation Jean Monet pour l'Europe’, The Swiss Academy of Engineering Sciences, the Mexican Council for Competitiveness, etc. and an advisory committee member of the Thai Management Association. He is also a member of the International Olympic Committee commission on Sustainability and Legacy. Stephane Garelli is the author of numerous publications on competitiveness and global business He published his best-selling book "Top Class Competitors - How Nations, Firms and Individuals Succeed in the New World of Competitiveness" with Wiley. His latest book " Are You a Tiger, a Cat or a Dinosaur?" is published in several languages and availbale on Amazon. He was a member of the Constitutional Assembly of his local state - Vaud, Switzerland from 1999 to 2002.